Nothing beats being slopeside in Fernie! 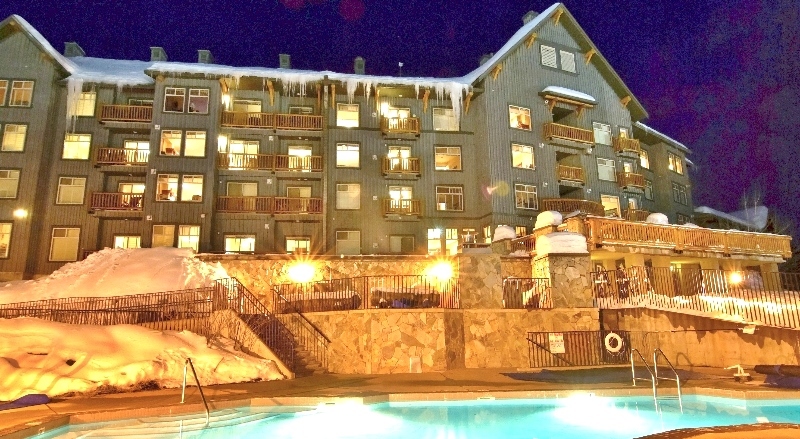 Snow Creek Lodge at Fernie Alpine Resort provides premier ski in ski out condo style accommodation. Ski down to the Elk chair in the morning, or relax on the expansive deck of the Alpine Room or in the shared hot tubs and watch the kids on the beginner slopes of the Mighty Moose. Anything is possible when you have access at your door. Built in 1999, the self catering Snow Creek Lodge epitomises the classic mountain vacation rental. Wood features, expansive gas fireplaces and cozy furnishings and accents add emphasis to the true feeling of a mountain ski getaway. With a configuration to suit any family, couple or group, Snow Creek Lodge offers Studio, 1 bedroom and 2 bedroom condo style suites. Condos are decorated to reflect the personal taste of each owner, whilst maintaining the characteristic mountain charm. Common amenities available for use by all guests include hot tubs, BBQs, an outdoor heated swimming pool and fitness room. Secure heated underground parking is available at no extra charge, with space for one vehicle per suite. Complimentary wireless internet is provided in each condo. King Fir Spa & Wellness, a year round spa offering Massage, Facials and Body Treatments, is conveniently located just a short drive away at the King Fir Building at Timberline Lodges. The Yoga Studio also operates out of the King Fir Lodge, offering regular classes throughout the peak season, as well as year round retreats and workshops. Guests staying at Snow Creek Lodge receive a special discount when booking treatments at King Fir Spa, so please ask your Sales & Reservations Agent when booking your vacation.